-Liquid receivers, economizers and buffer tanks. 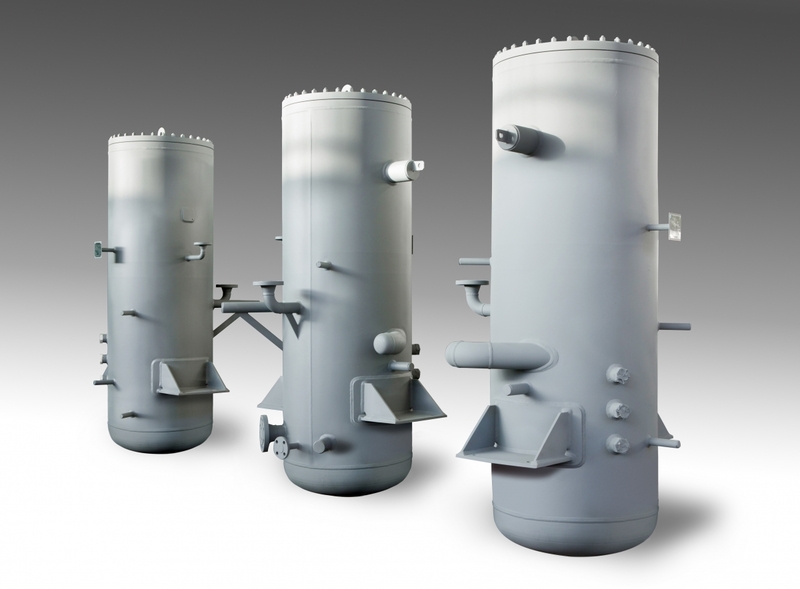 Pressure vessels can be designed according to various design codes such as EN13445 and AD Merkblätter﻿ for CE-PED pressure vessels, ASME (Including U-STAMP) or according to the design rules of various classification societies such as; DNV-GL, LR, ABS, RMRS, NK, etc. 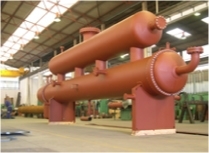 We have experience in producing in pressure vessels, in various types of steel, low temperature steel but also in stainless steel such as; AISI304, AISI316, SAF2205 and SAF2507. Liquid separators from MAREFSUP are specifically designed to the conditions that are stated by the client. Compact design is possible by using demister elements inside.We design the equipment with the help of a 3D design software of Solidworks. 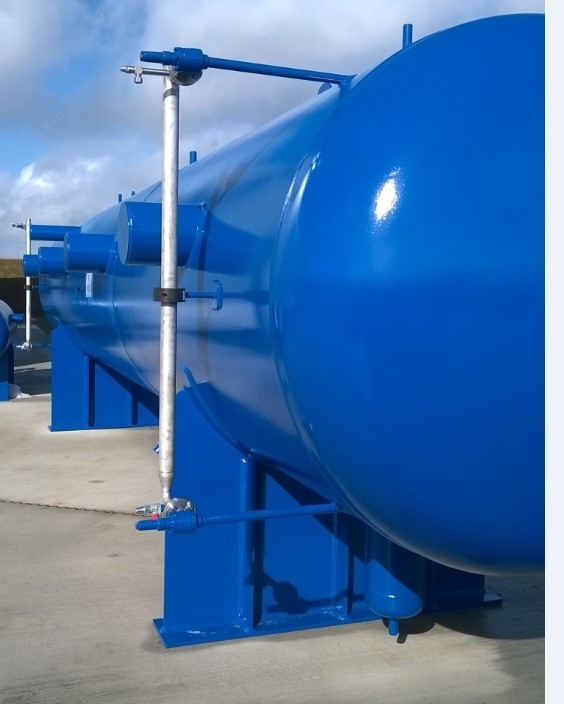 The pressure vessels can be assembled with other components such as pumps, heat exchangers, valves and fittings in order to save time and money during the construction of the complete system at site. • High quality coating of 80, 160 mu. Nozzles according to various standards. Oil separators for refrigeration applications. MAREFSUP delivers custom made oil separators for screw compressors and guarantees an Oil carry over of maximum 5 ppm when operating with ammonia. 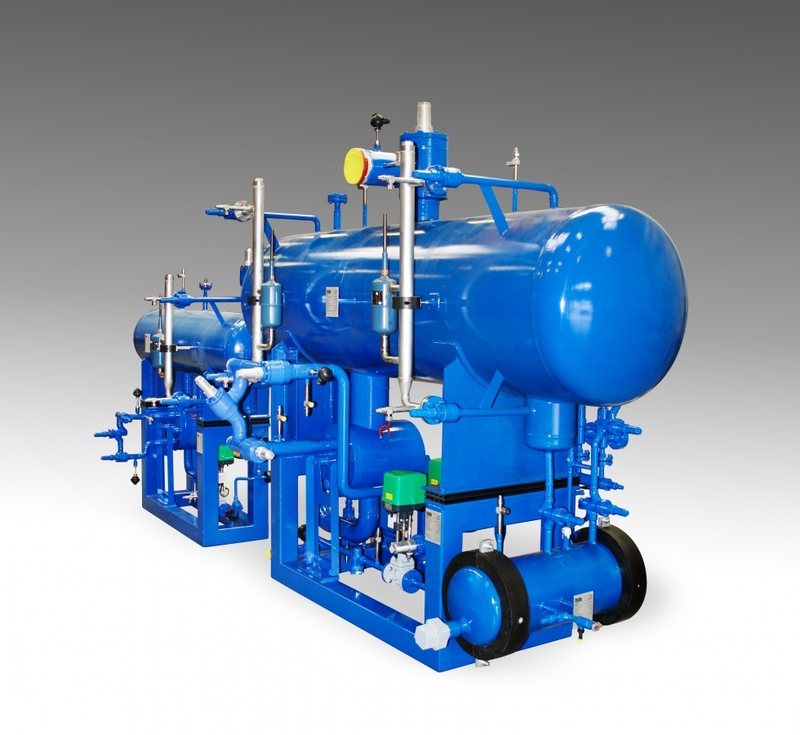 Oil separators have been delivered for Propylene, Ammonia, CO2, R134a and R404a. Oil separators were delivered not only for the screw compressor units, that were delivered by MAREFSUP, but also to our customers for the packages that were built by themselvees.